This article covers the basics of how to grow onions, including what types of onions to grow in your region, as well as their soil and water requirements, with links to articles on onion bolting, harvesting onions and storing onions. Summer days are longer in the north than in the south. This may seem counter-intuitive, but think of the North Pole, where the sun never goes down all summer. For my readers in the southern hemisphere: What is says on the left is upside down! Of course days get longer up to Dec 21, and summer days are longer in the south than in the north. Just invert the onion-recommendation latitude numbers, and please forgive me my "northerncentricity". My sweetie Tito is from Chile, and we're always joking about which way is "up". Different onion varieties fall into one of three types: short-day, intermediate-day, and long-day. If you want to grow bulb onions, nice large onions that will store well, the #1 most important thing is to choose the correct type for your latitude, or how far north or south you are. Seed catalogs will describe which type their different varieties are. Need a day lenth between 14-16 hours before they'll start forming bulbs. Store really well over the winter. need a day length between 12-14 hours before they'll start forming bulbs. grow best in the central tier (about 35-40°N latitude). need a day length between 10-12 hours before they'll start forming bulbs. grow best across the southern tier (about 35°N latitude and southward). Onions focus on growing green upper growth when it’s still cool and the days are shorter, and focus on developing their bulbs after it gets warm and the days lengthen. Each layer of a growing onion bulb is the base of a green shoot up top, so the more green top growth an onion makes before it gets warm, the bigger the bulbs will be. Onions absolutely need nice loose, friable soil in order to be able to expand into good-sized bulbs, and my recommendation is the same as always: compost, compost, compost. Lots and lots of high-nitrogen compost. 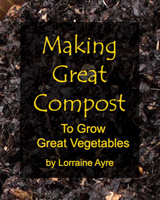 If you don't make your own, buy bags of a good-quality, diverse-ingredient compost from the nursery to amend your soil. Onions also like a good organic fertilizer blend at first, while they are working on their green growth. Work a little blood or feather meal into the soil to provide the nitrogen they need for their green growth. Onions will also get off to a fast start if you can give them a little phosphorous in the form of bone meal, which will help their initial root growth. DO NOT fertilize onions after the weather warms and they are nearing their bulb-forming stage. Since most onion diseases are caused by fungus or water-requiring bacteria, and since onions do not like to dry out, the best compromise is to use surface-level drip irrigation, which keeps the plants evenly watered but keeps the leaves dry. Onions also need good drainage. Onions especially need consistent water when they start forming bulbs, both because bulbs are juicy and because the soil needs to be moist enough for them to be able to push it aside easily. Weed control is very important for onions. Keep them weeded by hand when they are little, and after they are well established put down some straw or loose leaf mulch on the surface. Waiting to do this until they are well established will help prevent fungus diseases from taking hold. If you can spray with actively-aerated compost tea you’ll also help them with disease resistance. To grow large bulb onions it’s very important to choose types of onions that match how far north or south you live, because onions need to experience a certain day length before they switch from growing green tops to forming bulbs. Find out which types (and varieties) will work for you!